"Bump It Up" wall strategy. 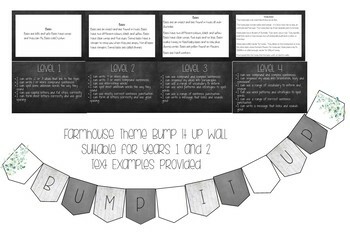 Print and post exemplars for levels 1, 2, 3, and 4 writing. 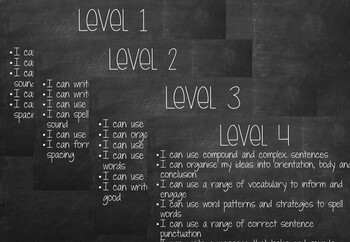 Includes "I Can ... " statements for each level. Students use the wall to self-assess, peer-assess, give feedback and improve their work!